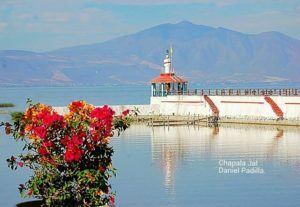 Why Lake Chapala, Mexico? So many reasons to live here! 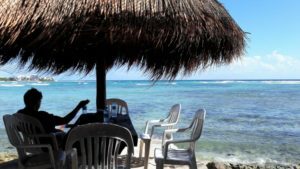 One million Americans in Mexico can’t all be wrong – nor can an estimated 500,000 Canadians who live in Mexico, at least part-time. 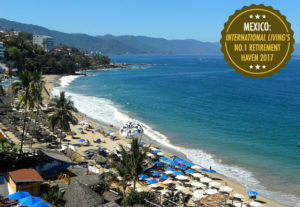 Mexico has a much lower cost of living than Canada or the States and is the nearest country where we are able to live year round yet be able to fly back within a few hours or drive back when the urge arises – to be with our precious families. Living in Mexico affords several trips a year to get our fix of those adorable grandkids! And in between we can simply Skype to keep these connections strong. 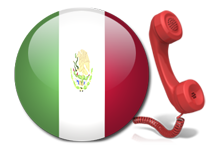 There is even a company here that offers phone, internet, cable and free unlimited long distance calls to Canada, United States and throughout Mexico for only $670 pesos – a mere $46 US! Many of us seek a simpler life – we are running to rather than running from and why not, now that we are entering the final chapter of our lives? We deserve it! Lake Chapala or Lakeside as we call it, consists of a string of fabulous little villages which border on Lake Chapala – Mexico’s largest lake. The infrastructure for foreigners is very developed at Lakeside, being the largest community of North American expats in the world other than Florida. The Lake Chapala Society sits on a beautifully landscaped property right in the center of Ajijic, one of our most popular villages. It is located in a park-like setting and is a hub of social activity. In addition to an extensive library, it offers a range of facilities and more than 80 interest groups that expats can join. At Lakeside, we have most of the comforts of home for half the cost. 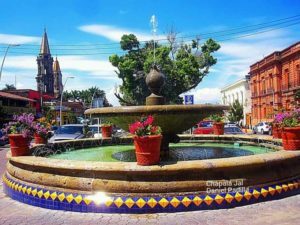 Top notch restaurants, theatre, movie theatres, clubs, associations, you name it we have it and if we don’t have something right in our own neighbourhood, like Costco for instance, we are only 45 minutes from Guadalajara, Mexico’s second largest city. 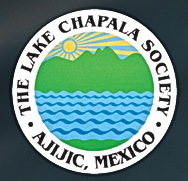 Regular bus trips are available through the Lake Chapala Society as well. It would take a book (and many have been written!) to describe why Lake Chapala is such a special area. But for now let me focus on practical matters such as weather, cost of living, and proximity to an international airport, the latter being crucial for those of us with families up north. The weather at Lake Chapala is near perfect! In fact, National Geographic voted this area as having the second best climate in the world – year round spring-like weather – can’t beat it! Can you imagine living without having to heat your home or use air conditioning? You can swim, bike, hike and play tennis and golf all year round – no excuse to be sedentary in our area because really and truly the weather is ideal! 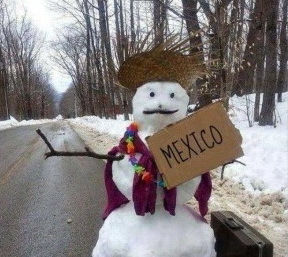 Vitamin D abounds in Mexico! Our seniors look and act years younger than their senior counterparts up north who have to resort to mall walking due to treacherous outdoor conditions in the winter months. The other wonderful aspect of having spring-like weather year round is that it is so much easier to socialise and meet new friends. 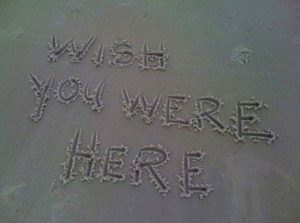 I remember the long winter months in Canada where you would not see anyone on the streets and you would have to make dates with people in order to see them. At Lakeside you are constantly greeting people as you are walking or if you are sitting alone in a restaurant it is not unusual for people at the next table to strike up a conversation. You never feel isolated living here – neither from the Mexican community or the North American community. 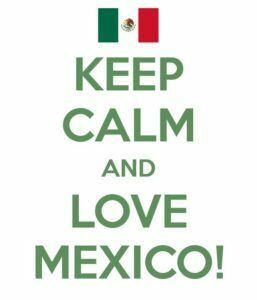 And Mexicans have been rated as one of the happiest people on the planet and their happy energy is infectious! Generally one can live on 40-50% less in Mexico than in Canada or the United States. For retirees and people on fixed incomes it is such a relief! For those who wish to retire younger, it offers a viable option. I am noticing younger and younger folks checking out our area. It is all so exciting! If you own your own home you can live comfortably on about $1200 a month, not including travel expenses if you wish to travel. Add $500 more a month for a partner. If you need to pay rent you would simply add rental costs which are quite variable depending upon your needs. A simple apartment can be had for around $350 USD while a middle of range home can rent for $600-$750 and anything above that is considered somewhat luxurious. Ultimately the cost of living depends upon your particular lifestyle. Many of us who are more impulsive bought almost as soon as we arrived. Generally homes are paid in cash – no mortgage payments – which is another form of freedom! Then you only have to pay the utilities and ongoing maintenance which I have outlined below. It is always wise to link up with a good real estate agent who has lived in the area for many years and can help you not only find the ideal home for you but one who can help you with many intricacies of Lakeside living that only comes with experience and time. Others choose to rent for a while and familiarize themselves with the area and prices. It is good to learn who are respected rental agents in the area. Most seasoned real estate agents can help with this as well. Eleven years ago when I left Nova Scotia I was paying $3,500 tax per year and about $350 a month in electric bills and on top of this, I had an additional yearly expense for wood to feed my wood stove which I had to burn a good part of the year just to keep warm from the damp cold that only the north Atlantic brings. How would you feel if you learned that your annual taxes on a beautiful home will cost you anywhere between $100 – $200 a year? And most of us don’t pay house insurance because our homes are made from concrete. Some folks pay for content insurance if they consider their contents to be valuable and worth insuring. How would you feel knowing that you don’t have to pay for heat or air conditioning? It is so freeing to know that one doesn’t have to be a slave to these ongoing bills. Whew what a welcome relief! And for those on a pension or limited income it is manna from heaven. A fireplace or portable propane heater might be nice in the cooler time of year – mid-November to mid-February – just to take the night chill out of the air and fans are nice to have in the warmest time of year – April through mid-June. Keep in mind this heat is dry heat so it is never unpleasant, even at the hottest time of year. 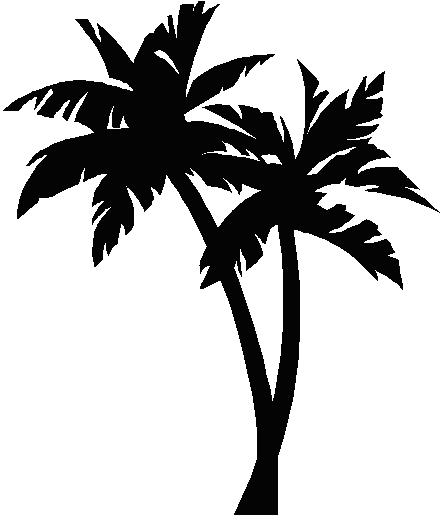 The major expense in homes in Mexico is the electric bill which averages around $45 US every two months unless of course you have a pool which can drive the cost up substantially. If you happen to have gringo habits it could run around $75 US every two months – hardly enough to break the bank! Gas bills run on average about $27 US – unless one has a dryer running. Most of us hang out clothes on a line because things dry within a couple of hours in the sunshine! Gardeners and maids at Lakeside are paid anywhere from $30 pesos to $50 pesos per hour – ($2 – $3.50 US) and of course these are optional depending upon your needs and wants. High or low income doesn’t matter – we can all afford it! Depends on the plan you take but the amazing thing is that your premiums do not increase if you make claims! Much cheaper than north of the border regardless of what kind of plan you opt for. Mechanics and Body Workers charge a fraction of what you pay up north. Owning a car here is a pleasure because it is so affordable. This totals about $670 pesos or $48 US a month, all inclusive and as I mentioned above includes unlimited long distance to Canada and the United States and allows unlimited calls throughout Mexico whether on a land line or cell. The internet speed is superb! You are always connected with loved ones! Health care is a concern to many of us seniors and rightfully so. Mexico has first class specialists and top of the line hospitals – especially in the larger centres like Guadalajara, a quick 45 minute drive from Lakeside. At Lake Chapala we have options. 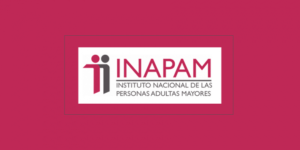 Many ex-pats who are on limited incomes choose IMSS – Instituto Mexicano del Seguro Social – Mexico’s national program which is also great for catastrophic situations. The cost for this program is around $350 US. 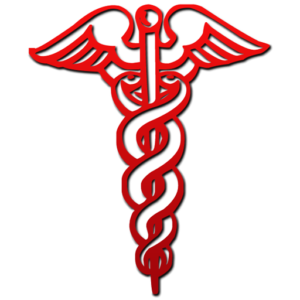 Recently IMSS has tightened up regarding pre-existing conditions and have turned down many elderly applicants. Within this system there often is a wait for various procedures. The good news is that in the more recent past there have been increasingly more options in terms of individual and group private insurance plans, the latter being more lax in terms of accepting older clientele. For instance, my yearly rate at age 63 for private health insurance with a $5,000 deductible is around $1300 US per year, perhaps my biggest expense living here, but well worth it. There are various insurance representatives who can explain the various options in detail. When paying privately, there is no waiting period. When it is not an emergency or a catastrophic situation, you can simply pay as you go. For instance, a visit to a general practitioner is about $250 pesos ($18 US) and to a specialist in Guadalajara or one who comes to Lakeside, anywhere from $400 – $600 pesos ($28 – $42 US). The great thing with pay as you go and private insurance is that there is no wait – you are seen immediately which can be crucial when it comes to life and death situations. What I found to be an incredible difference between doctors north of the border and here in Mexico is the quality of the service – they even make house calls! 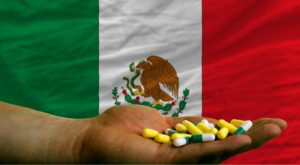 Most Mexican doctors actually spend time listening to their patients, and treat them with utmost respect and kindness. When one is ill and vulnerable, a good bedside manner makes a huge difference. During my very first few months in Mexico while still on travel insurance, I had to have emergency back surgery. I was terrified as I was wheeled into the operating room in a private hospital in Guadalajara because my doctor friends in Canada had said repeatedly, “Now make sure that when you see a doctor he is a real doctor!” making fun of the healthcare in Mexico, even though never having experienced it themselves. Not only was the surgery successful but the care was second to none, mainly the undivided attention of the attending surgeon. The rule of thumb is that you do have to pay the surgeon and hospital before you are discharged. Basically as in any country, it is ‘buyer beware’ and most of us go to various specialists as a result of referrals from friends who have had positive personal experiences with them. 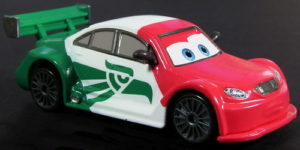 There was another time when I had an emergency situation on the highway between Lakeside and Guadalajara and I was rushed to what is known as The Green Cross Hospital (only for emergencies) and after I was treated I offered the staff money and they refused to accept it. And I had fabulous care so I never really feel that one would be left destitute, regardless of how much or how little one has. First class care at a fraction of US costs is routine for the Lakeside resident. 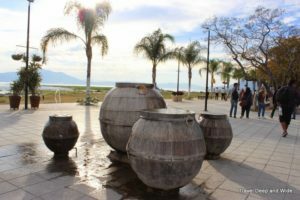 When I was thinking of moving to a warmer climate and then decided to visit the Lake Chapala area of Mexico, I was astounded by the number of juice bars where you could buy freshly squeezed orange and carrot juice combined with just about anything including any kind of greens imaginable – and at a fraction of the cost of northern prices. I had thought at the time that maybe that is why there were so many elderly Mexicans walking the streets – gotta be those juice bars! There are even therapies that you can receive here that are not permitted in Canada or the United States. Mexico is very progressive when it comes to alternative approaches to healthcare. The Lakeside area pulsates with complementary healthcare practitioners – chiropractors, acupuncturists, reiki masters, shiatsu therapists, homeopaths, naturopaths – you name it, we’ve got it! Dental care in Mexico is a fraction of what it costs in Canada and the United States yet the quality of care is identical as long as you shop around and ask friends for referrals. Lakeside is a relatively small area and everyone knows who is good and who is not so good. My dentist charges $150 pesos ($12 US) for a cleaning, $390 pesos ($28 US) for a composite filling, $2,000 pesos ($142 US) for a root canal, $4,890 ($346 US) for a root canal on a molar with crown, $3,500 ($248 US) for a zirconium veneer and similar price for zirconium crown – all so much less expensive than what it costs north of the border. 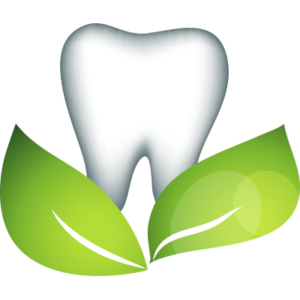 Dental tourism is on the rise! 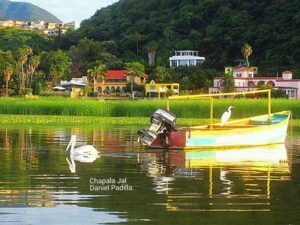 You could have a fabulous, inexpensive vacation at Lake Chapala while you do your dental work! Mexico is known for being a mecca of cosmetic surgery but amazingly enough, our own Lake Chapala is becoming a hub in itself! In Canada a face lift can be prohibitive because each area of the face is calculated. For instance, upper and lower face are considered two separate areas, the neck is separate as are upper and lower eyelids. Price wise, eyelid work can cost $3,000 to $8,000, a forehead lift is $3,000 to $8,000 and a neck and face lift can be around $12,000 so to look eight years younger you could spend up to $28,000! Contrast this with $6,000 – $10,000 here in Mexico and here the entire face and neck, eyes and brows are considered part of the procedure – so cost can be as low as one third or even much less of what you would pay in Canada or the United States. Cosmetic surgery tourism has become popular over the past few years. Many people come because it is affordable and some have had personal referrals from friends who have had great experiences here. We also have first class dermatologists who work with medical skin conditions but also do incredible cosmetic skin treatments at a fraction of what it costs north of the border. and take in the sights of an authentic Mexican village! The media is filled with news about violence in Mexico. One thing happens here to a foreigner and the entire world knows about it. Violence abounds in Canadian and American cities and it is not reported to the rest of the world. I know that a few of my acquaintances in Canada think we are shooting one another in the streets and would never come to Mexico! Others are afraid of the idea until they visit and are in awe at how peaceful our area is and how ‘normal’ daily life is for us who live here year round and for the snow and sun birds that come for six months at a time. It must be remembered that Mexico is a huge country with thirty one states and it is statistically much safer than the United States. It must also be remembered that 99% of crime in Mexico is drug-related and you could count the number of tourists who have been affected by it on one hand. To put it into perspective, 111 US citizens were killed in Mexico last year out of the nearly 8 million tourists – of which 1 million live in Mexico full time – and remembering that almost all of these 111 were involved in illicit activities. This is the same number of murders that occurred in Orlando the same year. Would you not visit Disney world because of the 111 murders in that state? To put this more into perspective, here is an example of annual murder statistics in various cities: Houston 462; New York City 778; Philadelphia 436; Atlanta 325; Detroit 447, and the list goes on. Does this mean there should be travel warnings about visiting these cities? Why, in Ontario Canada alone in 2013 there were 166 homicides. Do we avoid passing through or visiting this province? Mexico has had a bad wrap via the media and lately also through US and Canadian government warnings. Many of us who live here believe that one possible reason for this is that Canada and the United States do not want their seniors leaving the country and spending their retirement money elsewhere. Don’t forget that Mexico is the closest country where one can live full-time as a retiree. 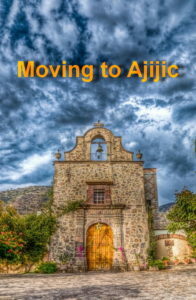 It is also where one can have a great lifestyle on a fairly low income — or as Sid Grosvenor says in the title of his book, How to Live a Caviar Lifestyle On a Tuna Fish Pension in Safe, Beautiful & Affordable Lake Chapala Mexico. 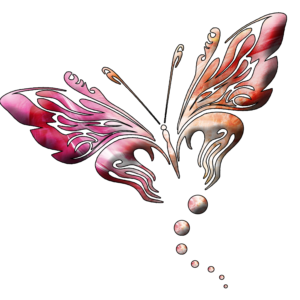 Come join us – we live life here to the fullest! The majority of people who live in Mexico are retirees. They need to demonstrate that they can comfortably afford to live in Mexico without becoming a burden on the country. Clearly these requirements are much higher than what it actually costs to live here. Note that some immigration offices are reducing the monthly income or pension deposit requirements by half for applicants who own property in Mexico. Also when one family member gets their Residente Permanente their immediate family members qualify without showing additional income/savings (Vinculo familiar program). There are immigration specialists who can help with applications and who will walk you through the process easily and efficiently. There is a fee attached to this – averaging from $50 US to $450 US depending on who one uses and how complicated each case is. Of course I can refer you to the best! All I know is that it’s all worth it! Not much of a sacrifice to live in paradise. 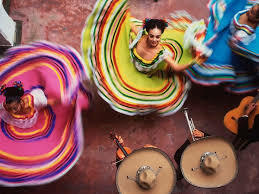 I love the international nature of our community, filled with artists, artisans, musicians, writers, such fascinating people from all over the world -so rich with culture. I can’t imagine living anywhere else! Have I convinced you yet? Great! To contact me via email, click HERE to go to my contact form.